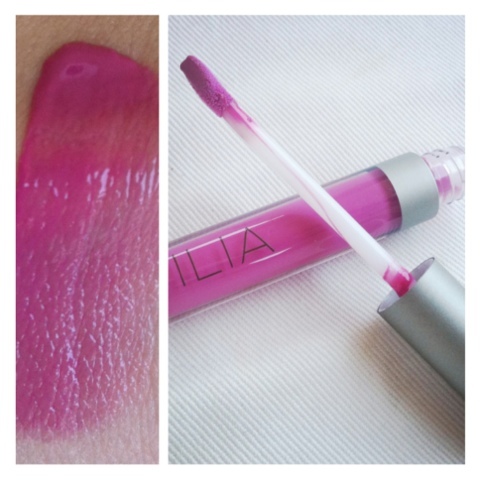 There's been a lot of chatter in certain beauty circles about ILIA Beauty products. I certainly count myself as a fan due to ILIA's high quality, natural ingredients and gorgeous packaging. Plus ILIA offers a nice (albeit small) selection of blue-toned pink products (Multi-Stick in Tenderly, Lipstick Crayon in Call Me, Lipsticks in Pink Kashmir and Neon Angel, and Lip Gloss in Love Buzz, pictured above) which are perfect for pale, cool-complexioned gals like me. I am quite pleased with Love Buzz, which isn't tacky and doesn't dry out my lips. I plan to layer it over Vapour Organic Beauty's Aura Multi-Use Blush in Crush, my near-daily lip wear.